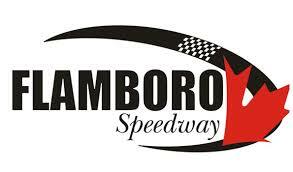 The Sauble Falls Tent and Trailer Park Late Models put together some great races across the season. So let’s take a look back on some of the great features we experienced. Throughout the season, the battles for the checkered flags were real close. The heavy weights of the division certainly weren’t willing to give in to each other, and that showed on August 4. Throughout the 35-lap feature, Nick Goetz and Gord Shepherd ran side-by-side for the top spot for over 20 laps, with Shepherd coming out on top at the checkered. The pair would also rage war once again back and forth mid-way through July, with Shepherd once again getting the upperhand. Shepherd wouldn’t get the upperhand in all the race-long battles against Nick Goetz, though, as Goetz was able to make his way by Shepherd with three laps to go after battling through the first 32 laps side-by-side mid-June. It wasn’t just Shepherd and Goetz who experienced the race long battles for the lead, though. Shepherd also had his fair share with Danny Benedict as well. Anybody remember June 2? The pair spent the final eight laps side-by-side for the lead, with Shepherd edging out Benedict for the win. You also can’t forget July 28 which saw Danny Benedict edge out Nick Goetz by 0.225 seconds for his fifth victory of the season. Sometimes dominating a race also doesn’t go your way, either. Billy Zardo was having the run of his life on May 12, taking the top spot on the drop of the green flag. He would then lead the next 55 laps straight, before a late-race caution came out for Dwayne Baker and Nick Goetz going around. That changed the tune of the night right there. The restart saw a battle for the lead between Zardo and Benedict, with Benedict taking the top spot with three laps to go as Stade and Holdaway battled for third. Danny Benedict led the rest of the way en route to scoring the victory, followed by Billy Zardo, Taylor Holdaway, Josh Stade, and Paul Maltese. Bumpers and contact are sometimes part of the game with these battles for the win, as we saw at the Spring Velocity in May. “Checkers or Wreckers” mid-way through July proved that you can never leave the race track before the checkered flag flies as there is always a twist just around the corner. At the front of the field, it appeared as though Shepherd would cruise to the feature victory, uncontested. Though coming off of turn four, the No. 10 Late Model died suddenly. Benedict took advantage of this, squeezing barely between Shepherd and the outside wall with contact to beat him by a bumper at the line. Danny Benedict got credited with the feature victory ahead of Gord Shepherd, Ernie Fumerton, Mike Wilkinson, Taylor Holdaway, Ron Quesnelle, Paul Maltese, Nick Goetz, Dylan Gardner, Nic Montanari, Chad Corcoran, and Jeff Richards.